I’ve been doing photography of Hakone Gardens (Saratoga, CA) bamboo since 2003. 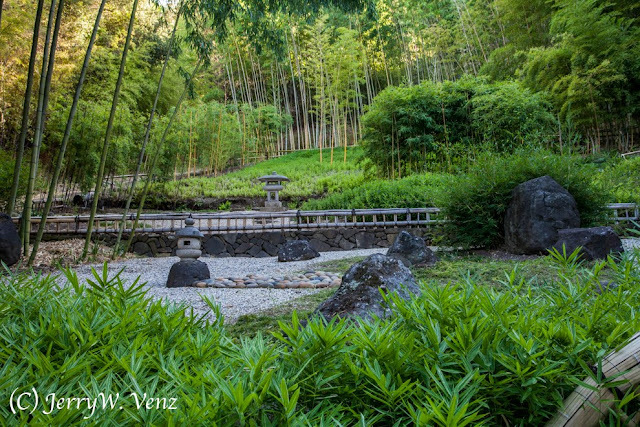 This beautiful 100 year old Japanese garden has many traditional Japanese features that have evolved over the decades making it a real treasure in California’s Silicon Valley. 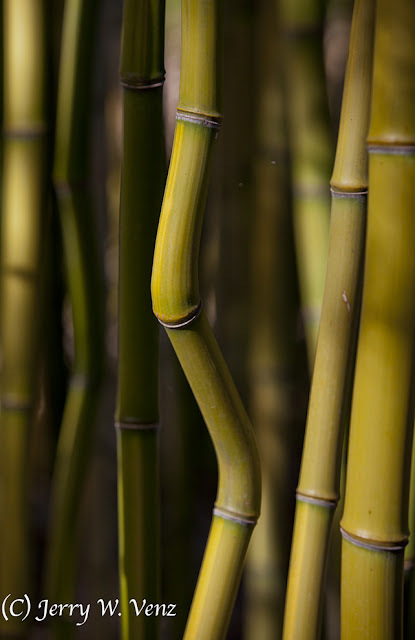 Hakone began receiving some highly prized and fragile bamboo from Yasui, Japan in 1985 and with other local donations the bamboo gardens flourished under the care of the Bamboo Society. 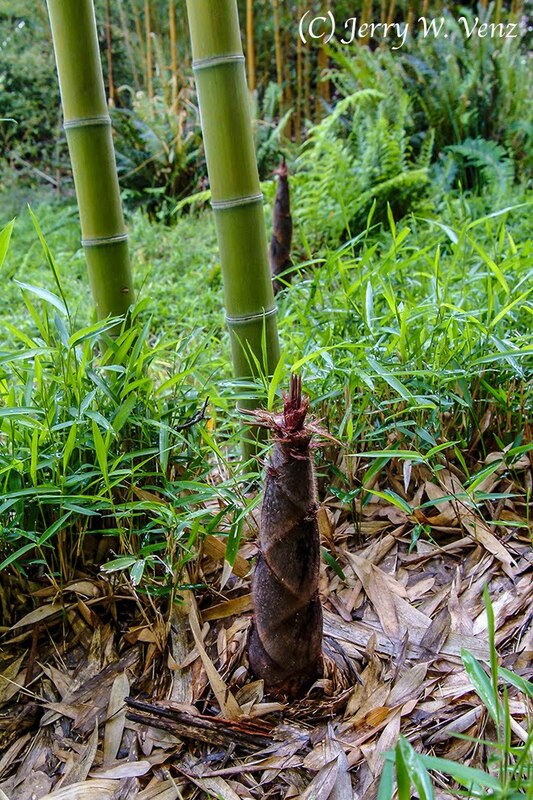 Because of the fragile nature of sprouting bamboo access to the bamboo gardens by the general public was limited—behind locked gates. 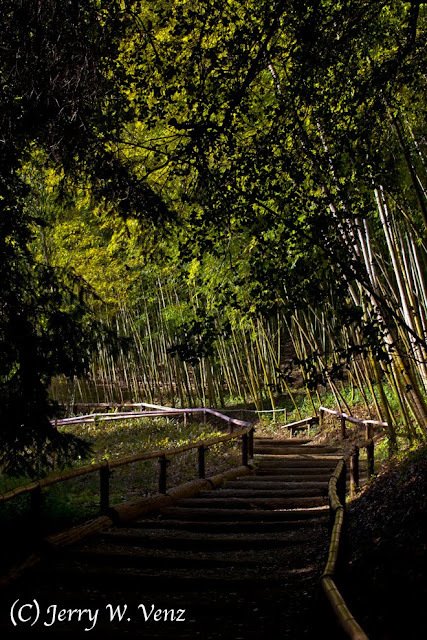 Because of the donations of my photographs documenting Hakone I was granted access to the bamboo gardens whenever I felt the timing was right (the best lighting) for great images. This is the view of the bamboo garden (in the background) as scene from Hakone’s parking lot. Taken in August I chose open shade in the evening, to capture the greenery without blowing out the highlights that happens when direct sunlight falls on leaves. I did this on an April morning. Most of the time I find that one or two hours before sunset (the”Magic Hour”) gives me the best directional natural light for most outdoor photography, but inside the bamboo garden the only time sunlight penetrated that area was in the morning. A nice example of directional natural light using selective depth-of-field and a relatively wide aperture to high light that oddly shaped growth of bamboo. 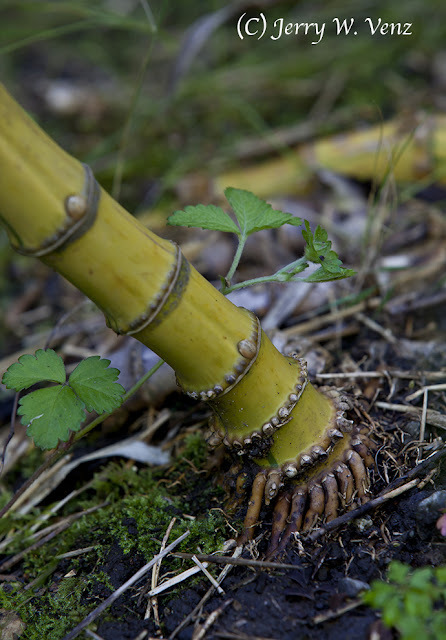 The tendrils at the base of the plant travel down and create the rhizome system that spreads out to nurture a forrest of bamboo. The shoots sprout around the mature bamboo and grow very rapidly—up to 36” in 24 hours! 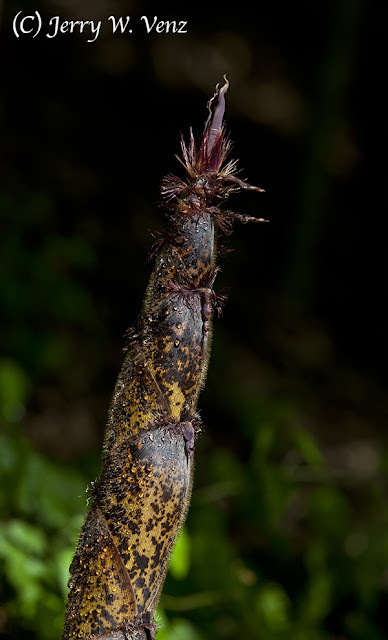 This close-up shows the protective sheath starting to fall away from the now hardened culm; the green area. 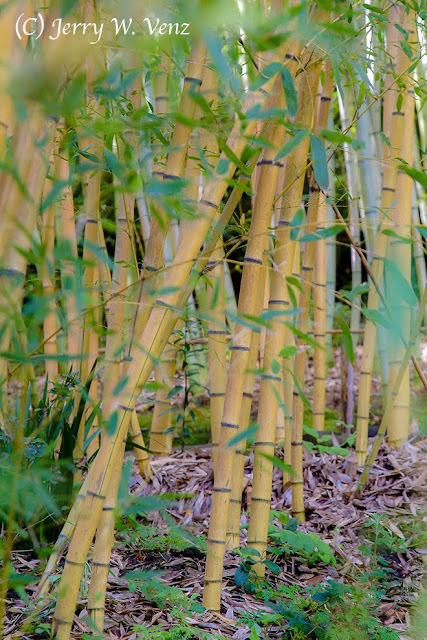 Then you end up with a forrest of bamboo in no time! 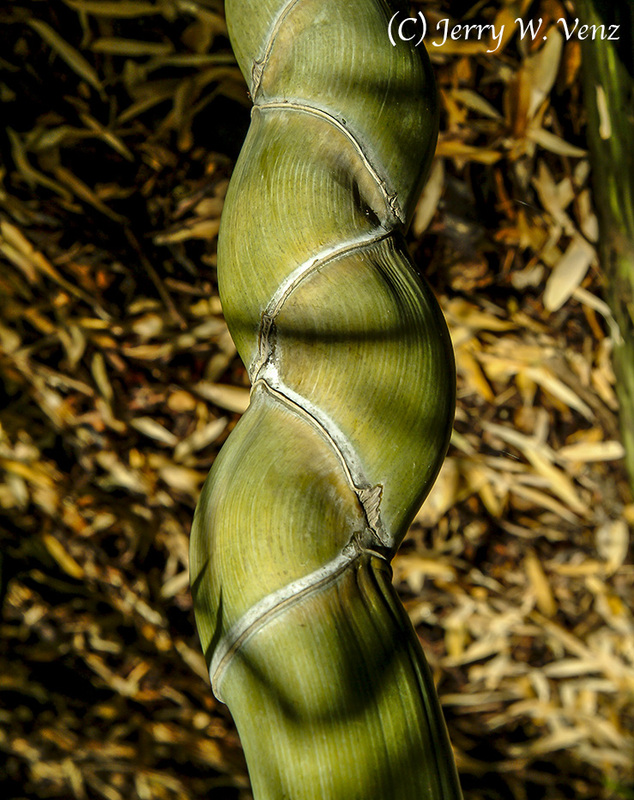 This is the rare, highly ornamental, Tortoise Shell Bamboo; called Kikko in Japan. Here’s some nice lighting showing the detail on a bamboo shoot. Is it me or does the top of that thing look like a crowing rooster? 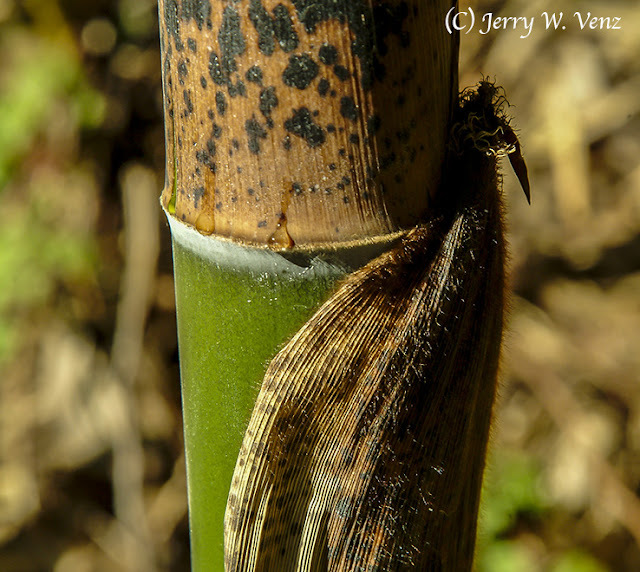 I really like learning about what I am photographing…it gives my images more meaning…Fascinating stuff—bamboo—hope you enjoyed seeing its genesis.